These are substances that mimic the effects of estrogen and can send bogus signals to the system. They create an imbalance with the body's hormones, specifically causing estrogen dominance. From plastics to pesticides, from foods to toys...we are all constantly exposed to xenoestrogens without us even knowing it. 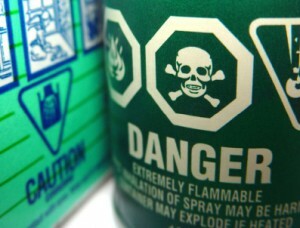 Pesticides like DDT or PCB have been banned for their estrogen-mimicking characteristics. However, these substances break down slowly and can remain in the body long after exposure. These pesticides have been found to cause birth defects and even cancer. Xenoestrogens are also found in phthalates, which are used in plasticizers. They can leach from plastic containers, styrofoam, toys and even medical supplies. Some of you may be familiar with bisphenol A (or BPA) which can leak out of heat resistant plastics or coatings inside aluminum cans. Studies show that BPA can cause changes in sperm count and motility as well as increased growth of breast cancer cells. Sports drinks contain substances like DEHP, DINP, BBP and DBP, which are used as clouding agents. They are also found in juices, tea drinks, fruit jams and powders. These substances can reduce sperm and cause feminizing qualities in men. In women, these can induce early puberty and increase breast cancer risk. Foods that we eat may also have xenoestrogens in them. Hormones used by farmers to fatten up chickens and cows are ingested by humans, causing an imbalance. Many people have wondered, men especially, why they have elevated estrogen levels. It is because of the food we eat and our exposure to xenoestrogens. I see challenges with xenoestrogens with clients on a regular basis. I am closing in on reviewing 4,000 adrenal hormone kits in my career and I have only seen 4 come back completely healthy and balanced. Yes, I said four! Shocking isn't it? Thankfully you do not have to live with this. First of all, it is important to reduce your exposure to xenoestrogens in any and every level that you can. I would also suggest cutting back on sugar intake since this can also create and overproduction of aromatase which is one of the main factors in these estrogen type hormone imbalances. There is also a Chinese herbal combination that can assist with this imbalance. Myomin will compete with xenoestrogens to prevent them from attaching to receptors and causing their disruptive effects. 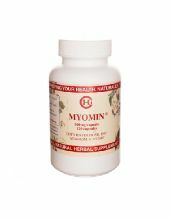 Myomin assists the body in correcting estrogen dominance. Try Myomin today and find out why so many men and women have benefited from it. Call Depke Wellness today for more information at 949-954-6226. Check out John Gray's video on Myomin's effects on xenoestrogens. If you have any comments or question regarding this article, please post this below for us to address personally.